1. We make genuine malas here in Boulder with care, crafted by Meditation Practitioners. You can get many small, faux stone malas for just a few dollars from China- like these for $16 but they aren’t real 8mm Gemstones, well crafted like ours are, even if the photos look enticing. Sakura Designs, a reputed member of the Better Business Bureau, crafts malas that are well designed and durably strung. We create malas as photographed, perfect for Mantra Practice. Made in the USA, unless otherwise noted. 2.We quickly ship your items via US Airmail. We use ‘green’ packing material and large portion of our electricity also supports wind power. A portion of monthly proceeds is offered to our related Dharma Communities. 3.We use the very best nylon mala cord for most semiprecious stone mala designs with tassels, knotted malas use 25lb nylon bead-line or knotting cord. 4.We properly finish each mala with a three holed “guru” bead and natural cotton tassel or knot. Many designs use silver “spacers” to enhance the marker if you like. 7.We buy beads from expert craftspeople who carefully “calibrate”(measure) the beads for better regularity. Sakura Designs prefers not to make your mala with commonly available, inexpensive imported beads that are irregular, and have flaws. * We are very selective about materials offered in making your special mala. Most of the beads that we choose are measured when they are made, a process called “calibration,” to ensure roundness and regularity. 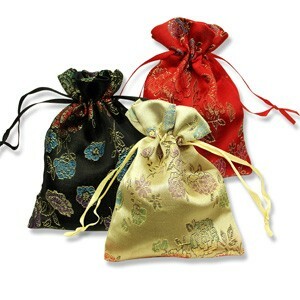 8.Each full mala is offered a complimentary silky mala pouch, and well packaged, with a free mantra manual. We also offer Gift Boxes. 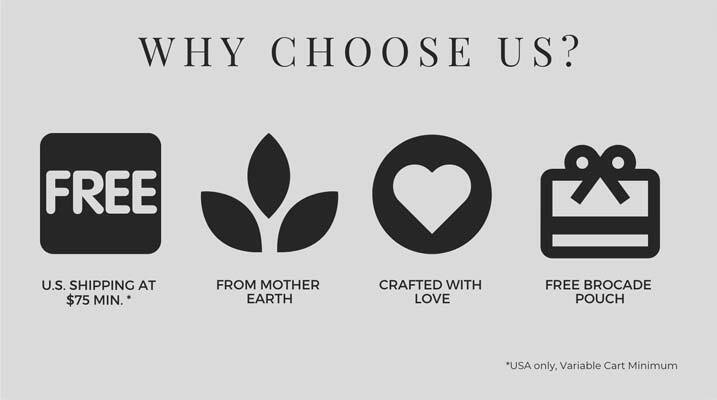 9.We guarantee our work, all malas have a 30 day craftsmanship guarantee. If your mala, (either cord or material) breaks by normal use within 30 days of purchase date, we’ll restring it with the same design, free of labor charge (+s/h). Just send it right back to us! We do also offer redesigning- (see below).